Silver plated sideways cross coil bracelet. 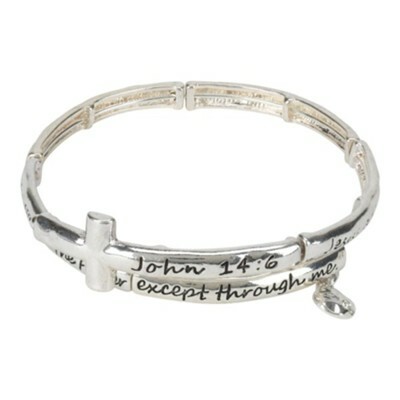 Adjustable coil design with joined tiles and round charm dangle, engraved with Scripture verse. I'm the author/artist and I want to review I Am the Way and the Truth and the Life Adjustable Coil Bracelet.